When I initially tried out this hybrid, it seemed too good to be true. Well, after a few rounds with it. The club head broke from the shaft after a shot from the right rough on the first hole today June 1st. Just received this club a month ago. Can anything be done from Rock Bottom, please?! ProsWorked well for 3 rounds. Just what I needed. ConsClub Head broke off on a hit from the rough June 1st. Great club for the money. I had purchased a Bullet .357 25 degree hybrid a few months back and have been really impressed with the ease of strike and the distance. Therefore, I thought I would try the 3 metal. I have played two rounds with it and am equally impressed. There is just something special how the ball come off the club face. Can hit it 230 with little effort, not bad for an "old Dude", soon to be 70. ProsGreat club ,especially considering the cost. ConsSorry I didn't purchase one sooner!!! I've purchased quite a few things from Rock Bottom! I wish I would have known about the points sooner. 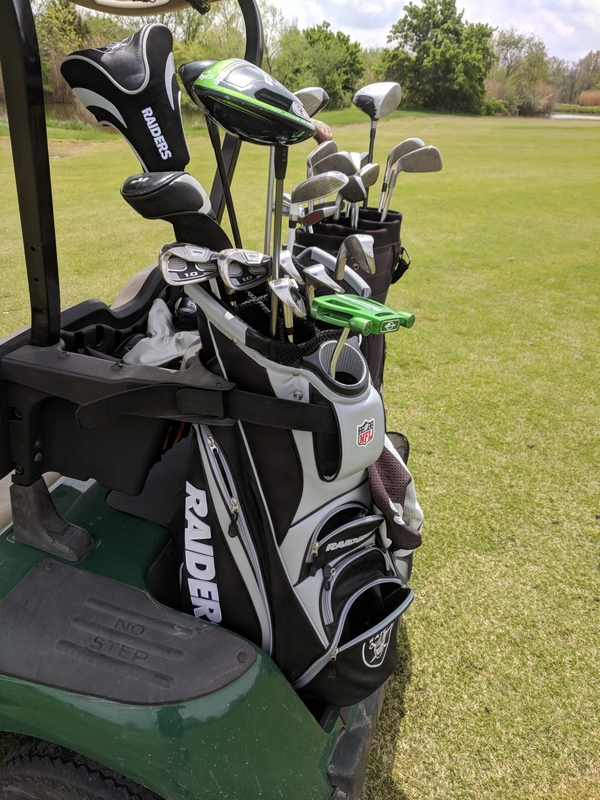 Got a complete set of clubs to start. Driven 1.0 and I was very skeptical. For the price of the set I couldn't pass them up! They play awesome and are extremely forgiving. From that day on I fell in love with this website! Rain gear, range finder (Skycaddie), gloves, and balls. Check them out!!!!! 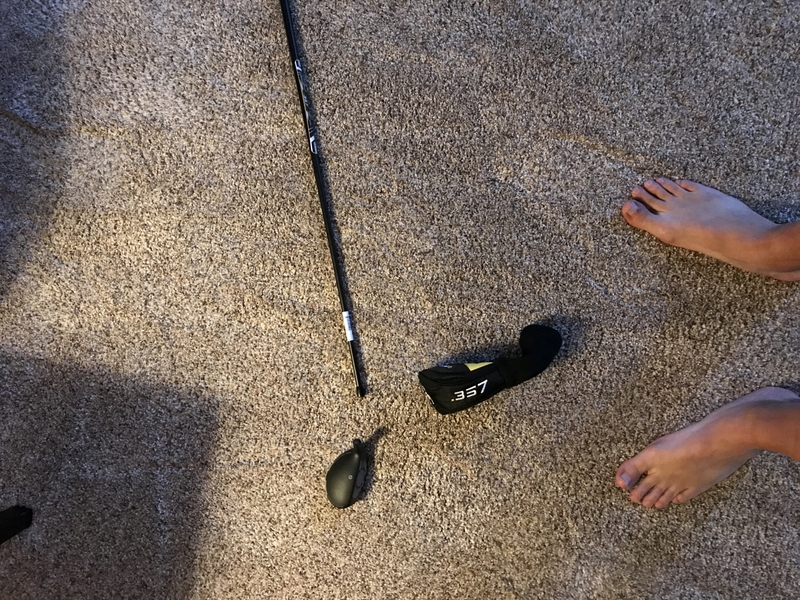 I've never owned hybrid clubs. Doesn't really get the distance I expected, but that could be in my swing. ProsNice feeling balance of club. Just arrived yesterday from RBG, took it to the range immediately. I got the 3H 19 degree. This club is super easy to hit, and the ball really comes of the face with some speed. My favorite aspect, though, is the weight. Head is heavy and the shaft is very stiff, which is needed. Also, it sets up to the ball well, giving alot of confidence at address. The sleak black look of the entire club is great as well. Definitely recommend. Great price on Hybrid, very stiff shaft which was needed. Only had the club out once so far this year but it has a great feel and look at approach. Awsome club at a great price. Outstanding purchase, club is awsome and for a great price. Just received and happy with the hybrid. Fit and finish are nice and swings well. I got a great price on this 5 wood from RB closeout section . Played 9 holes yesterday the club swings nice the ball comes off the club face with power and sounds solid. Very nice club. Needed a replacement for an older Taylor Made hybrid. The reviews of this club were good and they were not wrong. Well built, solid, good value. Unbelievable good feel and long, with the prize just can't beat it . Go get one ! Great club that looks nice at address. Got it as a gift for someone. Just got the 3 Wood & the 5 Wood and have only played one round with them and love them. Would recommend these two woods to everyone love them. Wood shaft is too flexible. Fairway wood head design is good but the 3W/5W wood shafts are too flexible. Stiff is more like regular, and regular is similar to senior flex in general. Not good. Have used Titleist hybrids for long time and tried Bullet 357 3H and 4H just for fun and curiosity. Excellent ball flight and good distance. I am going to sell my Titleist hybrids to use these Bullet 3H and 4H. Shaft weight and flex are also good. "For $20 . . . .what could I loose? ", I thought when purchasing the 5-wood. I didn't loose anything at all. Actually, I gained . . . .about 20 yards more distance than my current 3-wood. My next step is to purchase a Bullet Golf 3-wood. Only used it twice, but very happy with the results. ProsGood distance and always straight. Just ordered this 3 Hybrid Stiff Shaft and I can't wait to get it! Based on the other reviews it sounds like a great value. I will update this review once I have played a couple of rounds. Great club. Easy to hit. im a senior golfer 12 handicap who had only a driver and irons in my golf bag. could never hit fairway woods or hybrids.tried different hybrids with little success. the rest may sound corny but here goes. after receiving my bullet .357 hybrid my first round with it in the bag the first thing i noticed compared to other hybrids i have tried in the past is the look and the feel of the club. it looked good to me and felt comfortable. maybe because of the black head or the weight.making a long story short its the first hybrid i am hitting consistently. love it. brought a great price. I'm very satisfied. Good price. Bought this Hybrid along with the fairway wood and it was just as easy to hit as the 3 wood. Love the feel and just the right shaft flex. Great club outstanding deal. Took this Bullet Fairway wood out to the range the day I got it and was amazed at how easy it was to hit. no break in time I hit it the first time I swung it. Great club. Shaft says regular but I question that statement, seems more toward stiff.Not getting much height. In all fairness it has been cold and wet weather and I haven't used it much on the range or put my favorite grip on. I'll give it more time but not optimistic. If Rock Bottom is willing I will trade it for the Bullet Utility club. I bought this because I want to try out some brands/models without breaking the bank and not being able to afford a different brand/model if I so choose... However I think I'll be keeping this one for a while. Super slick and good looking and feels top of the line. This 5 wood swings beautifully and the contact feels and sounds incredible too. I may even replace my 3 wood with a Bullet .357 I will consider other Bullet golf clubs in the future. Incredible quality and value for what they are charging. Pros-Design is superb -Swings near flawlessly -Sounds great on impact -Boosts confidence with the response it gives.